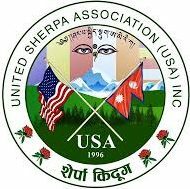 Network of Sherpa Students & Professionals – UNITED SHERPA ASSOCIATION (USA), INC. The Network of Sherpa Students and Professionals (NSSP) is a volunteer organization that strives to build a strong community among Sherpa students, graduates and professionals through regular social, professional, educational, and cultural activities. NSSP works to achieve a strong community among the Sherpa youth, locally in NYC, and around the world.